The marvelous atmosphere of Valentine 3D Screensaver will make you get absorbed with both tenderness and passion as you feast your eyes upon the numerous blossoming out scarlet roses filling in the background and two charming ornamented hearts floating in the foreground. These ardent hearts can serve as the symbol of your passionate love for each other. This wonderfully crafted screensaver shines with superb quality visuals, so don't wonder if you find yourself sitting by the monitor, admiring the perfection of an image for hours. 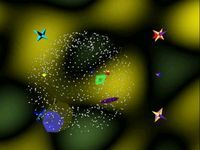 The atmosphere of the screensaver becomes even more romantic as the creators of Valentine 3D have provided it with the pleasant music that sounds most euphoniously in your ears. What's more you can select your own musical composition to pick out the music accompaniment that will fit you the best. Why not select the melody that will bring a vivid recollection of you joint past, an afterglow arising from your memory as the tune plays? 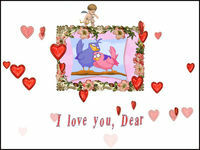 Valentine 3D Screensaver will be a perfect present for your soul mate. Looking at such an enchanting sight your bellowed one will certainly estimate the true worth of your passionate token of affection. Use this screensaver to declare your love to the dearest person. 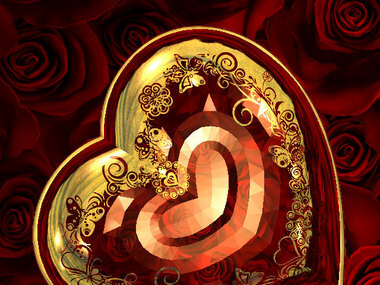 Valentine 3D Screensaver reveals the feelings coming from the bottom of your heart!